USS Zumwalt (DDG 1000), commissioned 2016. When a ship requires the addition of reflectors for the benefit of other boats in home waters you know that it has serious stealth capabilities and that the strategists, architects and engineers who conceptualised, designed and built it knew what they were doing. The USS Zumwalt, which was commissioned just this month on the 15th October 2016 in Baltimore, Maryland, near Washington DC, is the most stealthy, futuristic and robotically automated war ship ever built. It comes with an almost $5 billion price tag for each boat. It has a radar signature of a small fishing vessel, thus almost radar invisible, and as for the naked eye, well even with good binoculars on the open waters you'll need to look carefully so as not to miss it. It will be commanded by none other than US Captain James Kirk. The captain's name is already famous from the futuristic Hollywood movie franchise of Star Trek, where the fictional Captain James Kirk commands the USS Enterprise. For the computer geek, the USS Zumwalt comes with 6 million lines of operational code which gives the vessel a high grade in total situational awareness in an environment of multiple simultaneous threats. 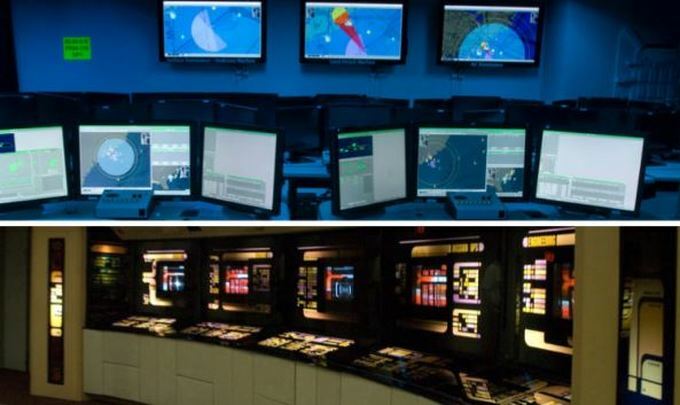 Photos: Some sections of the sophisticated information technology within the USS Zumwalt command centre looking like a part of NASA's launch control system or the systems onboard Star Trek's USS Enterprise. To protect this circuitry the USS Zumwalt comes with 16 Electronic Modular Enclosures (EME) which act as protective subsystems for mitigating shock and electromagnetic interference. Photo above: The USS Enterprise in the movie and TV series franchise of Star Trek. 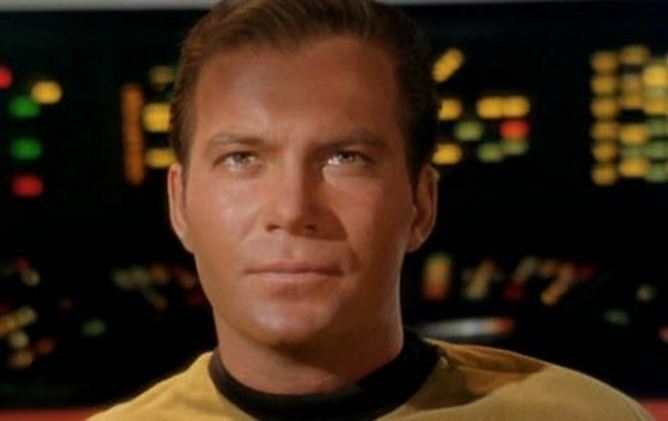 Photo below: The legendary cult-like movie hero Captain James Kirk, played by William Shatner. The most significant and comforting fact about this photo is that people in the future still have good looking hair styles. The USS Zumwalt is intended for service in the Western Pacific Ocean which includes East and South-East Asia. It comes with a hefty price tag. The overall program development cost was approximately $22 billion, and the cost for each ship is approximately $4 billion. There are another two of these ships in the making. Despite it's purposeful bland appearance, these guided missile destroyers have no rivals when it comes to sheer firepower, technology, capability, and stealth. It has the smallest crew of any destroyer built since the 1930s thanks to robotic automation of ammunition loading, tracking and firing abilities. It may even have robotic bartenders which are already on board some of the world's biggest luxury cruise liners, although on a ship like this the drinks would probably be pure fruit juice and milk served with some cookies, rather than alcohol served with more alcohol. It has 50% less crew than a traditional destroyer whilst also being approximately 50% bigger in size. Thus, operational expenses are lower due to less input costs for sailor wages. It also has the benefit of putting less lives at risk during conflict. In addition to guided missiles, weapons on the destroyer include an electromagnetic rail gun that can shoot projectiles at an amazing 6 mach (6 times the speed of sound) faster than supersonic fighter jets and faster than nuclear cruise missiles. Australia is also looking into getting rail guns which come with no explosive ordinance, but far more capability. With robotic tracking the USS Zumwalt can even be used to shoot down multiple intercontinental nuclear ballistic missiles. 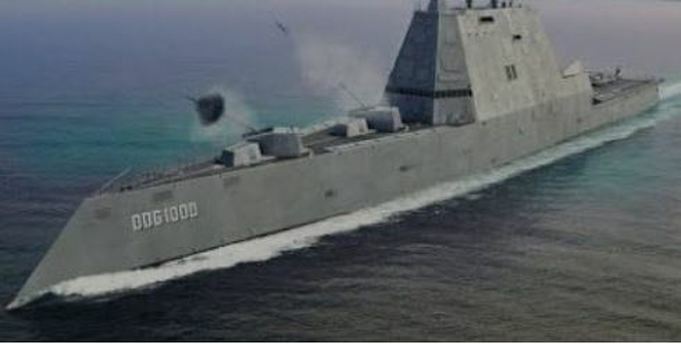 The US military has also successfully tested at sea futuristic laser guns, like those on Star Trek's USS Enterprise, for shooting down missiles which may soon be installed on the Zumwalt. Photo: The USS Zumwalt. Is that part of a mountain, a mirage, a mammoth floating metal case holding secrets within, or maybe it's just all three? There is a misconception that the US military is in a state of decline or winding down. It would be more accurate to say that the US military is in a continuous state of technological improvement at the cutting edge of making the impossible into the possible. The top secret Defence Advanced Research Project Agency (DARPA) which fathered the Internet and is working on many robotics projects today is always looking to redefine the possible, with its mission statement of "Making the Impossible Possible", with the former being a dream, and the later the process of making the dream real which is the secret part. Due to technological improvements the US is reconfiguring its cost benefit analysis. The US still remains the world's most powerful navy and military multiple times over and the introduction of ever new technological advances in cost effective innovation gives it a massive qualitative edge over other militaries in addition to its already overwhelming quantitative advantage of deployable military assets. ​In addition to destroyers such as the USS Zumwalt, the US military is also investing heavily in developing drone swarms ranging in size from insect drones to full size predator drones, along with robotic submarines and other smaller accompanying vessels. These can be deployed with the USS Zumwalt which also turns the destroyers into multifunctional robotic and drone carrier mother ships. It seems the James Bond movie franchise just found another ship for its future movies.